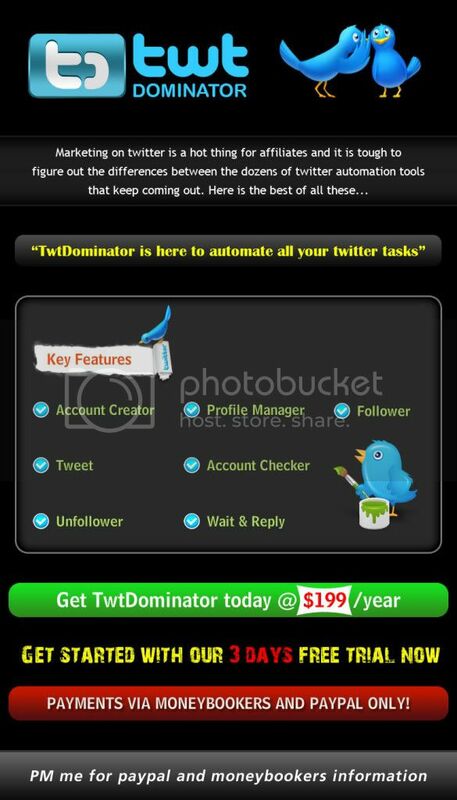 Thread: [Get] Twt Dominator - The Ultimate Twitter Marketing Tool! how to use it , just extract and run the shortcut and then click start and it will work. Re: [Get] Twt Dominator - The Ultimate Twitter Marketing Tool!